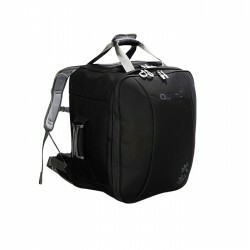 Please Use the comment box a the checkout to explain what you want on the zekken. 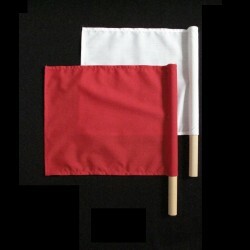 If you have an i..
One pair of referees flags for signalling decisions in Shiai. 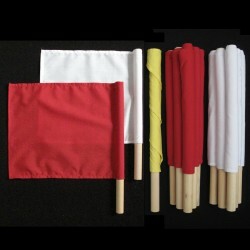 (One Red and One White Flags)Products ..
3 pair of referees flags for signalling decisions in Shiai. 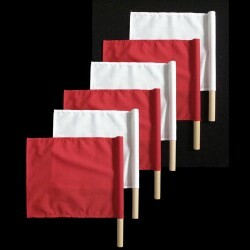 (3 Red and 3 White Flags)Products valid ..
6 pair of referees flags for signalling decisions in Shiai. (6 Red and 6 White Flags)Free One Yellow..
New Sakura tree Design.size: 98cm X 35cm standard size100% deluxe light-weight cotton * Fe..
Eurokendo Special Offer Set All the basic items you need to run a shiai-jo conveniently packed i..